The first thing to take note of is Chu’s apparent passion for the world of He-Man. Many have worried whether he was right for the job, as would be the case with anyone whose only noteworthy credits are Step Up 2: The Streets, Step Up 3D, and Justin Bieber: Never Say Never. But with the new G.I. Joe coming and his quotes below, you can tell he’s looking to move on to bigger and better things. I was approached about doing a Masters of the Universe movie and while at first I was skeptical, I read the script and I was blown away. I had no idea what to expect but it was such a fresh, UNEXPECTED approach I was immediately intrigued. I never expected to connect on a human level to a MOTU movie but I really plugged in emotionally. That alone, got me excited to see what we could do with the property. MOTU is such a challenging puzzle to make into a movie that works to a contemporary audience but the script seemed to really crack it for me. I think people are really going to be surprised at the rich story we have the opportunity to tell in this world. Where you think MOTU goes left, the script goes right and it was just very clear to me this was something very special. It was never a conscious decision to do another “toy” movie but when I read this I couldn’t put it down. And I definitely couldn’t let anyone else make it but myself :) It was just too much fun. I feel like there’s a lot of room to crack open the Masters of the Universe story. We are still in our process and I think we have some great seeds planted but making one of these types of movies RIGHT takes a lot of TONAL tightroping so we’re just going to play for the next several months. Play with designs, play with the characters, try new things, maybe go too far on some things and pull back. The process is really important to find where the right line is so we can land right on it. I think that’s what can dig out the properties full potential for a cinematic rebirth. I don’t really think about the 80s movie when looking at this movie because the script here is so strong and so unique. I think the characters are so grounded and layered I never expected that in a Masters movie so to me it’s on a totally different level. Don’t get me wrong, I love the 80s movie for full nostalgic reasons but this script feels like it’s a totally different genre than that one. I LOVED the toys growing up. I had Grayskull, I had BattleCat/Cringer, I had Stratos and Orko and obviously He-Man and Skeletor. I also watched the cartoon a lot growing up. This is my era, so going to Mattel to visit their headquarters was like walking into a childhood fantasy. They had a lifesized He-Man in the lobby as well as a glass case with EVERY SINGLE MASTERS OF THE UNIVERSE action figure on display. It brought me back to my youth and I knew I had to be a part of getting this movie together. For every MOTU fan out there, it felt like it was time and I wanted to make sure to protect it in the process. 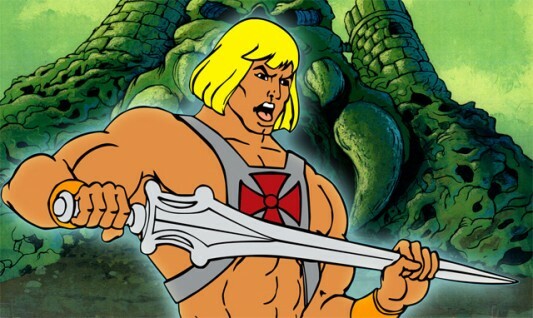 As for when we might see the He-Man movie, which is currently being written by Richard Wenk (The Expendables 2), Chu said he’s concentrating on finishing putting the 3D polish on G.I. Joe: Retaliation, which will hit theaters on March 29, 2013. After that, if all goes well, we should finally see a Masters of the Universe movie start to move forward.